Selwyn Harris/Pahrump Valley Times Two Nye County law enforcement officers stand guard over murder suspects Michael Wilson and brother Dakota Saldivar, both 17, and wearing jail jumpsuits, during Thursday's preliminary hearing in justice court. Pahrump Justice of the Peace Kent Jasperson bound the teens up to district court to stand trial. Both are scheduled to appear in Department 1 on September 28, at 1 p.m.
Local authorities said the teens stabbed and beat their mother, Dawn Liebig, 46, to death because they did not like her parenting style. The stabbing and bludgeoning attack lasted for roughly a half-hour while Liebig fought for her life, the teens told investigators. Both were arrested in the early morning hours of Aug. 1. During the two-and-a-half-day preliminary hearing that concluded Sept. 6, Defense attorneys Carl Joerger, representing Wilson and Harry Gensler, representing Saldivar, had a challenging task ahead of them trying to convince Jasperson of their clients’ innocence, despite the fact that the brothers actually confessed to their roles in the murder while speaking to a Nye County Sheriff’s detective prior to their arrest. Both Joerger and Gensler cited the corpus delicti rule, which they argued, prohibits the admission of an extra-judicial confession into evidence in a criminal case unless the prosecution introduces evidence independent of the confession, that a crime described in the confession actually occurred. Additionally, Joerger and Gensler actually questioned whether the body, located in a shallow grave near Liebig’s Wedgewood home was even that of Liebig. Gensler, meanwhile, expanded on Joerger’s theory regarding their clients’ confessions and the identity of the body located in the grave, where the teens led the detectives. The defense counsel’s arguments, as compelling as they were, were not enough to convince Jasperson of the teens’ innocence. 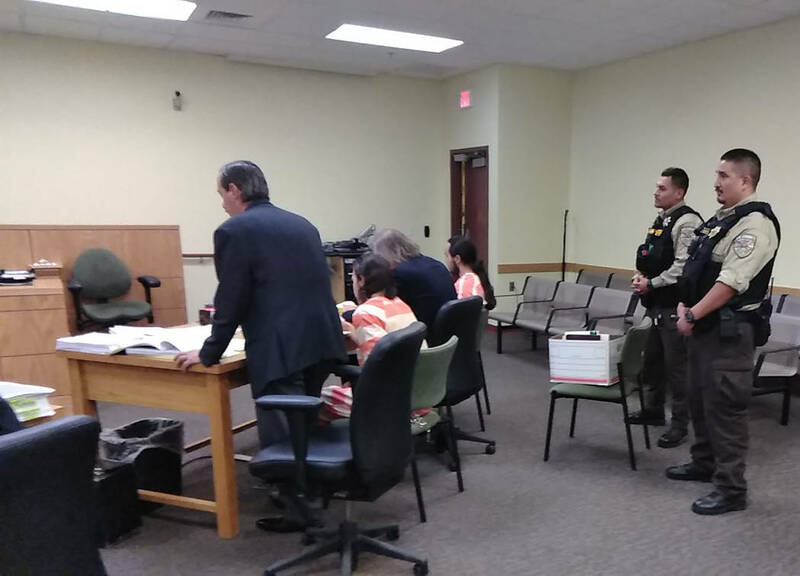 The case now heads to the Nye County District Court Department 1 at 1 p.m., Sept. 28.